The Daily Meal’s David Ressel joined us at this year’s Grape Camp and published this glowing article and photo slideshow of his experiences. The rite of sleepover camp is filled with great memories, friendships, and experiences often reserved for children, but camp can be for adults, too. And, while we are at it, camp for adults should focus on more mature adult pursuits, like wine and fine foods. That is precisely what Sonoma County’s annual Grape Camp, held each September during California’s grape “crush,” is all about. Grape Camp isn’t quite the same thing as packing bug spray, sewing name tags in your underoos, and worrying about who is going to get the top bunk in your cabin. Grape Camp, under the auspices of the Sonoma County Winegrape Commission, is a two-and-a-half-day immersive experience into the world of winemaking, literally, from the ground up. But this camp is also for those who may merely enjoy the enchanting world of wine tasting, eating wine country cuisine, or are just learning about wines – or even those who may just have never been to camp before – all while paired with the magical setting of beautiful Sonoma County. And, just like any other camp, you can hold fast those memories in a slideshow as a scrapbook to remind of the wines you swirled, smelled, and swallowed and foods you ate. 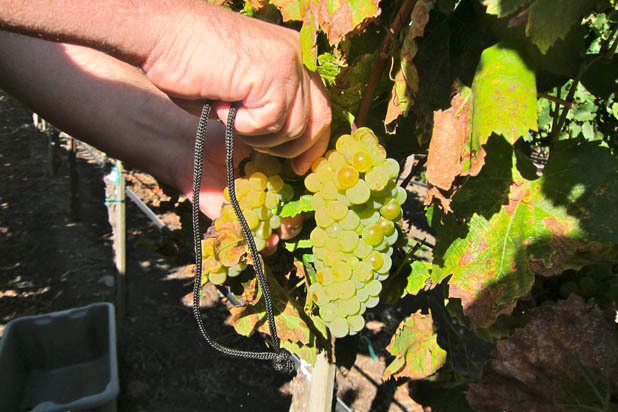 Here’s a brief photo journeyfrom Sonoma County’s Grape Camp 2013.